Are you tired of the big chain studios providing one mediocre photo of your little ones? Do you hate committing to buying photos before they're even photographed? 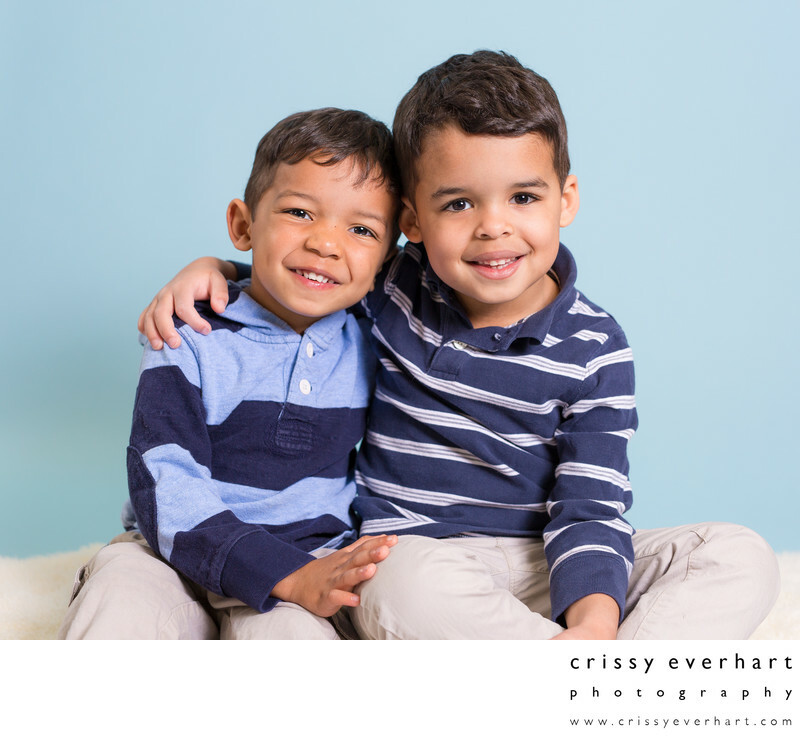 Instead of assembly line portraits, I offer each child a "tiny-session" – a 3 to 5 minute portrait shoot where I actually talk to them and try to get genuine smiles! I have two young boys of my own, ages 7 and 9, so I am well-versed in kid shows, song lyrics, and potty humor. In the case where a child isn't cooperative or cries, we will give him or her another try in a bit, not just snap a photo and move on. My assistant and I come to your school at no cost, and will photograph the kids individually and as classes. 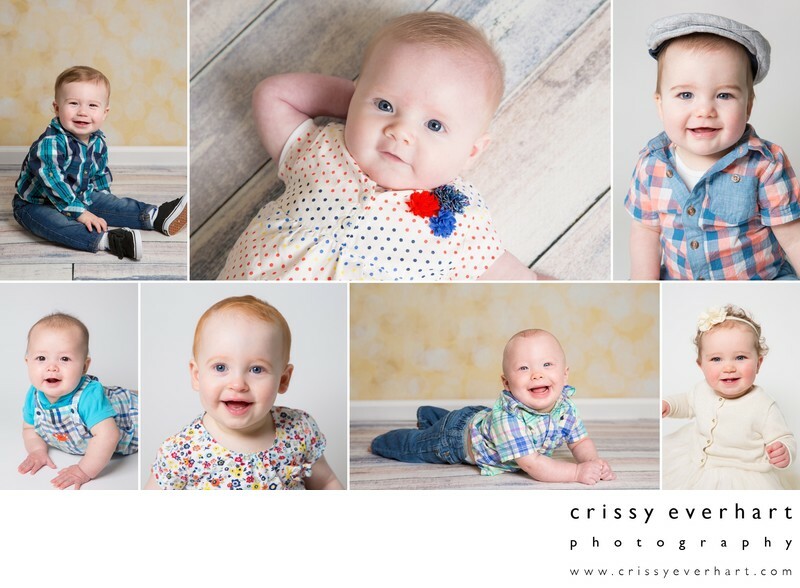 Each child gets 3+ poses: a full length photo, a close up, and one on a colorful background. If any siblings attend the same childcare facility, they are also photographed together. Each age group or class can be photographed with their teachers, on chairs in the classroom for class photos. Photos are available online for ordering within a week. An email is sent to the school to distribute to the parents which has the username and password to access the photos, and online ordering is open for two weeks. After ordering is closed, the images all receive basic retouching (boo-boos and boogies) and are ordered from a professional lab. They are then inspected and delivered to the school in labelled envelopes for each family. There is no cost for the photo session, but there is a 20 child minimum for school pricing. I will provide you with a "School Picture Day" handout for the families with helpful information. Print sheets are $15 each, and can be an 8x10 or a combination of 5x7's, 4x5's, 2x3's and mini wallets. High resolution digital files are $20 each, and class group photos are only $10 for an 8x10. 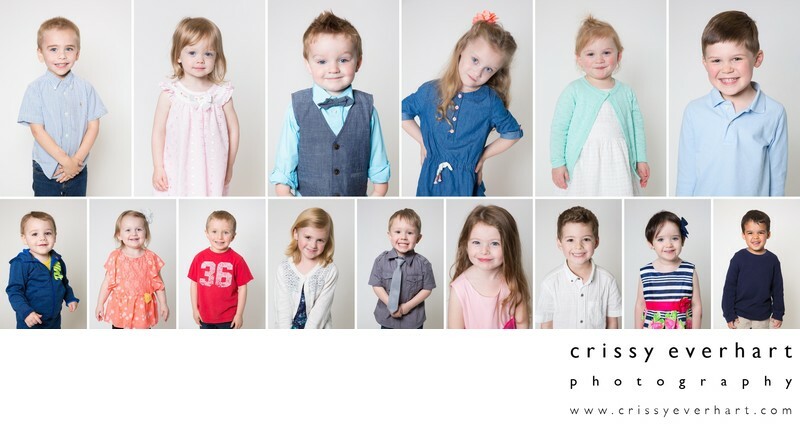 Email me now for more information or to set up a date for your preschool photos!